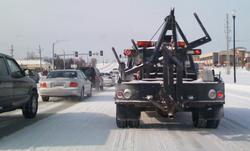 Towing Bangor is a service company that specializes in providing quick reliable service. We have a motto that we work by! If it's broke we fix it, if we can't we tow it! Our family has been in the auto industry for many years. Starting generations ago we started serving our communities, doing our part! Now we have a full time towing company the serves all of Bangor and the surrounding towns. We do our best to take care of every customer like they where are own family. Nobody wants their loved ones stranded somewhere. So that's why we offer 24/7 serves that is responsive and always professional! Call Us Now For Immediate Service! (207)618-9998 Or Fill Out The Quick Response Form And We Will Respond ASAP!